Latecomers will not be admitted until intermission. 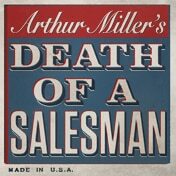 Arthur Miller’s Tony Award and Pulitzer Prize-winning masterpiece Death of a Salesman, in a new production directed by eight-time Tony Award® winner Mike Nichols and starring Academy Award® winner Philip Seymour Hoffman as Willy Loman, Obie Award winner Linda Emond as Linda Loman and Andrew Garfield (The Social Network, The Amazing Spider-Man), making his Broadway debut as Biff Loman. Outstanding Revival of a Play - Winner! With “Junk,” the Pulitzer-winning playwright Ayad Akhtar examines financial chicanery in the 1980s — and how it shaped the blind worship of affluence today. Andrew Garfield’s Biff, in Death of a Salesman on Broadway, is just the latest in a string of conflicted, richly complex characters this 28-year-old actor has played in his short but already impressive career. May be inappropriate for ages 10 and under.